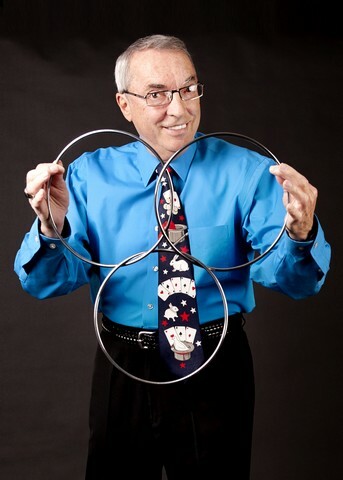 PJ Walker has been entertaining children and adults with his unique brand of Magic and Comedy for over thirty years. His shows are always funny, exciting, and, most of all, mystifying. Whether on stage, in a hired hall or the comfort of your personal home or family room, PJ Walker can adjust his performance to fit your needs. Children shows, family audiences or Corporate or Club functions, all get customized magic and comedy to suit the audience and the occasion. And, a unique feature in the entertainment industry, PJ Walker guarantees his performances. So, you can be sure that the Magic and Comedy of PJ Walker will Guarantee that your public function, or private affair, will be a hit! "The Famous Elephant Wedding Bands"